There are two more weeks left in the voting for Epikur food-and-wine magazine's Best Writer competition; please vote for me and spread the word to friends and family. Down on the farm, Bob Evans Restaurant now has a gluten-free menu that includes breakfast, lunch and dinner options. The chain has nine locations in the Delaware Valley and hundreds of others throughout the Midwest, mid-Atlantic and Southeast U.S.
South Philly Mediterranean Kris (1100 Federal St., 215-468-0104) serves an eggplant parmesan with an egg and parmigiano batter (no breading) with fresh mozzarella and tomato basil marinara. It's accompanied by polenta gnocchi, also gluten free. Other menu items either are or can be prepared gluten free. Add the Nino's Pizza locations in Wilmington, New Castle, Middletown, Bear and Smyrna to strengthen my belief that Delaware has the most gluten-free pizza options per square mile of any state. Nino's outposts in West Chester, Pennsylvania and Cecil County, Maryland also have gluten-free pies. The pizzas come on their own tins and are prepared with separate sauce and cheese. Several locations offer gluten-free ravioli as well. Also in Delaware, The Greene Turtle Sports Bar & Grille has opened a location in Newark (250 Elkton Rd., 302-454-1592) with a gluten-free menu. Reader Jared G. let me know that Chez Elena Wu in Voorhees (910 Haddonfield-Berlin Rd., 856-566-3222) has gluten-free soy sauce and can prepare many protein and vegetable dishes gluten free. Nearby, Marlton's Ragazzi (44 Rt. 70 E., 856-810-8810) offers gluten-free ravioli, gnocchi, grilled eggplant and wraps. As I wrote on Tuesday, there are gluten-free options at Lucky Strike, Dave & Buster's and North Bowl, boutique bowling centers in Philadelphia. 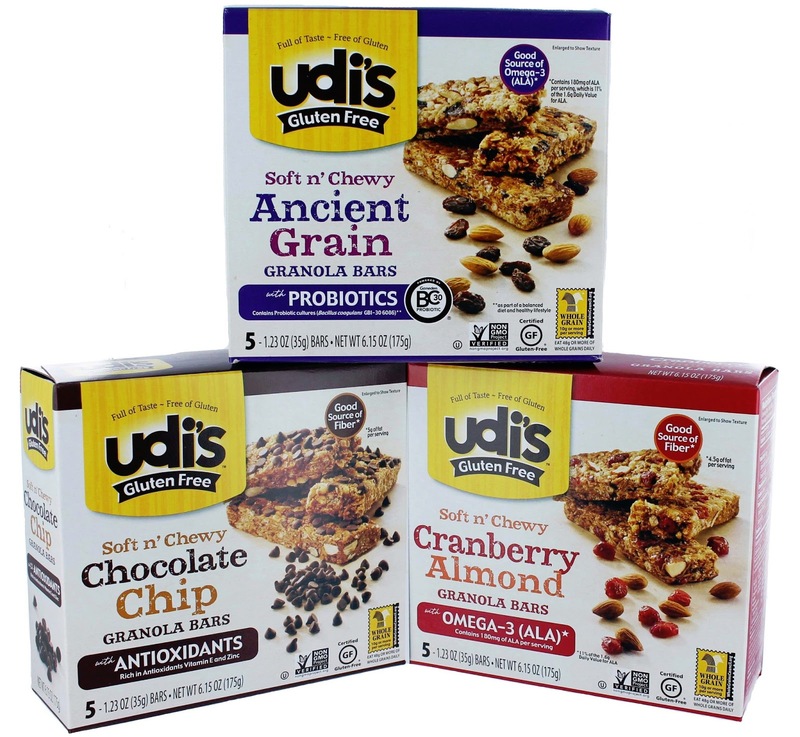 Udi's Gluten Free has announced several new products: three varieties of granola bars (Cranberry Almond, Chocolate Chip and Ancient Grains), 6" and 9" plain tortillas, Spinach & Feta pizza and personal-size three-cheese pizza. 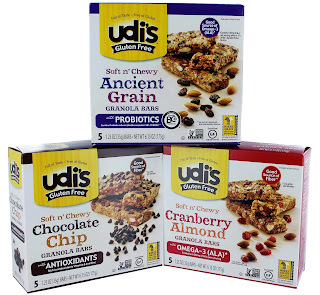 One more addition to the new Van's gluten-free products I mentioned a few weeks ago: Ancient Grains waffles, made from brown rice, millet, teff, buckwheat, amaranth, sorghum and quinoa. The waffles are also egg and dairy free. Natural-foods chef Heather Esposito will be teaching a gluten-free and allergen-friendly cooking class called "Cooking For Detox" at Food For All in northwest Philadelphia (7127 Germantown Ave., 267-297-7122) on Sunday, Jan. 27 from 3:30 p.m. to 5:30 p.m. Cost is $50. RSVP by Jan. 23 by calling Food For All. Be sure to check out the Events page at the blog for a list of kids' and adult support group meetings, meet-ups and cooking classes. I went to Chez Elena Wu on Christmas Day. I informed the waitress that I was "gluten-free". She responded by asking me "you want free food?" She had no idea about gluten-free diet/celiac's disease . I asked to speak to whoever was in charge that night. They informed me that I couldn't have anything with soy sauce. I ended up eating sushi without soy sauce. If you go to Akira in the next shopping center, next to Pasta Pomodoro, and ask for gf soy sauce, they will accommodate you. I went for hibachi, and they made the entire meal gf.